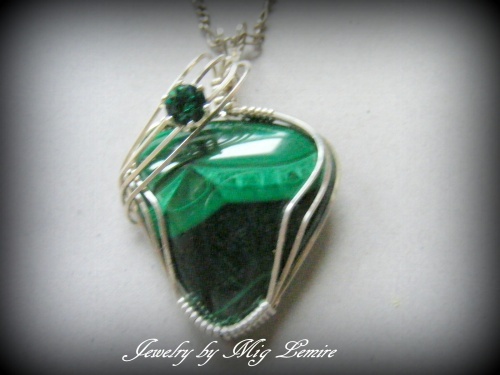 This gorgeous Malachite gemstone is accented with a matching green Swarovski Austrian crystal. Framed with sterling silver, the colors of the combination just pop. Piece measures 1 3/4" long from top of bottom to bottom of pendant and 1 1/8" wide. Comes with a sterling silver chain.